Ron Howard always strikes me as a dependable albeit safe director. He always seems to produce quality products but that’s just the thing- they always feel like products. I never feel touched by them, there never seems to be any personality or true heart. Maybe I’m being a little unfair, but looking at much of his list of films, Frost/Nixon, The DaVinci Code, The Missing, Ransom, Apollo 13, Far and Away… they are just too safe, too mainstream, too competent. No doubt the studios love working with him. They always know exactly what they are going to get. Competent. That’s a Ron Howard movie. 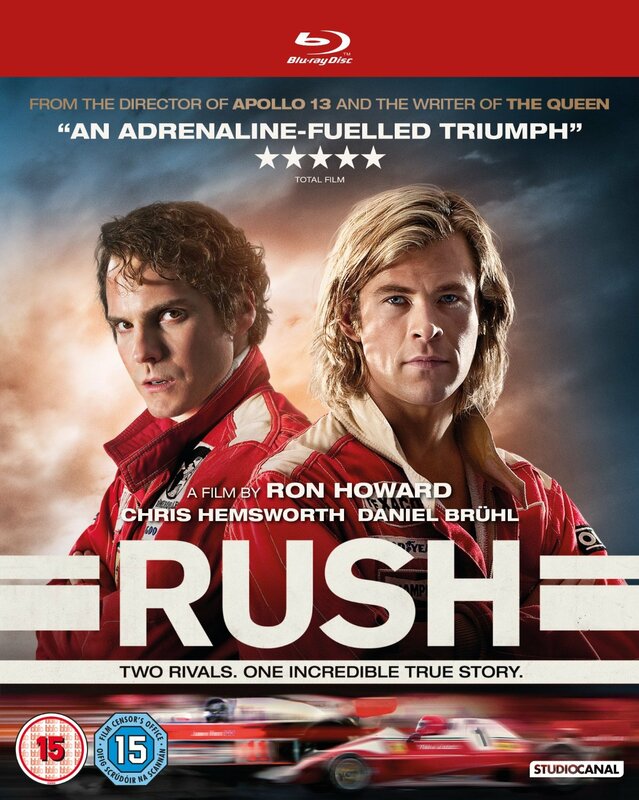 Rush may be one of his better efforts but it suffers from the same faults as so many of his other films. Maybe its just me, but was anybody else infuriated by the slap-in-the-face race commentaries in this film? Talk about over-explaining everything, it almost felt like an enforced audio-description. Why treat us so much like idiots? Surely it would have been better to just have the visuals and the sound and the editing do their thing, offer a pure-cinema experience, instead? Let us figure out what’s going on, we’re not all idiots. I have a problem with the ‘look’ of the film too. Rush is one ugly movie. Its horribly desaturated and muddy, its a ‘look’ that quite a few films have and I really don’t like it. It looks as though the image was severely messed-about with in post-production, likely to push the period-feel of the piece. Frankly, thats a bizarre approach for a film set in the 1970s; I don’t think it was necessary and I certainly don’t think it works, it distracted me throughout. The 70s just didn’t look like that; if anything everything was bolder, brighter, more in-your-face back then. Surely everything should ‘pop’, in your face more? Almost 3D even. The only thing I can imagine is that it was part of getting the visual effects to work and gel with the stock race footage. I’ve read that we Brits have suffered from a poor Blu-ray encode so maybe thats it, but goodness me its ugly. So not a bad film at all, but annoyingly pedestrian, aiming at the lowest denominator, I feel. Imagine what a director like Paul Thomas Anderson might have done with a film like this (and he’s no stranger to a 1970s-set movie himself). That’s what frustrates me about films like this. So its ok but little more. And good God its ugly. This could likely be the ugliest film I see all year. If you’ve seen it, you’ll know what I mean- there’s a point near the end of the ninth episode (its always the ninth episode with this show) of this third season when my jaw near dropped to the floor. “What? !” I cried out loud, stunned at what I was seeing; “What! ?” And then the end-credits followed in sudden silence, as if sharing the numbness of every viewer who hadn’t seen the events coming. 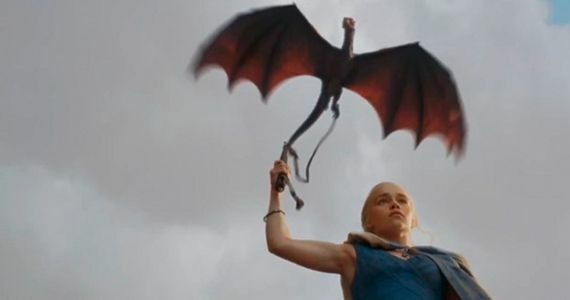 Just how good is HBO’s Game Of Thrones? I won’t discuss what it was that happened for fear of spoiling it; no-one , save someone who has read the books, should ever see this series having been spoiled of its secret delights, its twists and turns. Its something special. Readers of the books may say otherwise, but to me, this show is darn near perfect. I love stuff like this. When something happens that takes you by surprise, when something turns a corner you didn’t see coming. When a story suddenly carries you somewhere you didn’t think you were going and hands you an emotional sucker-punch that leaves you reeling. It doesn’t often happen with movies lately, if ever at all. The only time I ever mutter a numbed “what?! !” at the silver screen these days is when I see yet another plot hole open up in-front of me. Just as some of the very best actors are shifting away from movies and into tv drama, so are the very best writers and producers working in television now rather than motion pictures. I’ve written of this before, that television is no longer the cheap, sub-par alternate to the silver screen that it used to be back during my childhood. Sure, there’s still a lot of crap on television, so many game shows, so much reality tv, inane chat shows, moronic soaps etc but there’s so much quality drama superior to anything you’ll see at the cinema. Stuff like the re-imagined Battlestar Galactica, The Walking Dead, Mad Men, Hannibal, and that’s just the American stuff, there’s plenty of quality material from our own shore or across the channel in Europe. And of course, yes, there’s Game Of Thrones. I finished the third season boxset last night having started the thing with a re-watch of Season 2’s final episode on Tuesday. That’s eleven episodes all told over five days (two per evening with a three-episode hit on Saturday night). I’ve not read the books (although I have them on my tablet’s Kindle app ready to go) so when watching the series it’s all new to me, but goodness me you have to devour it don’t you? Having a complete season in a box, its simply impossible to ration it out to even one episode a night, nevermind one a week as it originally aired on tv. 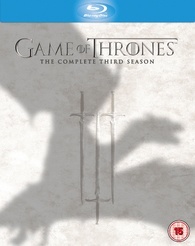 However, stuck with having to wait for the boxsets, I have to watch the show as an annual treat when they are released. Which means somehow avoiding all spoilers for nearly a year. One day, in several years time, I guess first-time viewers will be able to watch the entire thing in one go with a huge Complete Game of Thrones series boxset, in a similar way to how I watched The Wire and The Shield. Well, wouldn’t that be something. Staying spoiler-free for almost a whole year regards one of the very biggest shows on television takes some doing. Particularly in this Information Age we are living in. Biggest thing is Will Power obviously (anybody remember that 1970s pop act Will Powers? Anyway I digress…), and averting my eyes from every newspaper and website headline involving Game Of Thrones or any of the actors, any Youtube with Game Of Thrones in the subject-line. Its easy to forget how much we are assaulted by media all the time, at least until you have to consciously work to actually avoid all that media and marketing. Its hard but staying spoiler-free can be done. I’m doing it with Mad Men too ( I have the season 6 box sitting on my shelf right now, with season 7 soon to air this Spring) and the Harry Potter movies (boxset on the shelf, waiting for a suitable amount of time to finally see why there was such a fuss about that young wizard with the specs). I wonder if someone is doing this with The Hobbit movies, waiting for the third film to be released on disc in the inevitable trilogy box and only watching them then? I suppose there must be someone doing that; I suspect the films might be better for it. My brother has seen the sec0nd of the films at the cinema (Wild Wargs couldn’t drag me to the cinema for that) and told me the ‘ending’ of the film is particularly poor as a stand-alone experience. So for Game of Thrones, that’s it again for another year. Except maybe it isn’t; my in-laws have taken Sky (for the sport, funnily enough) and that means they now have Sky Atlantic. So this year I may well be able to watch season 4 when it airs, and thus be able to avoid that long hard work of staying spoiler-free. But I do wonder if my enjoyment/viewing experience will be lessened, compared to if I wait for next year’s season 4 Blu-ray box and have another HBO binge. Hmm. 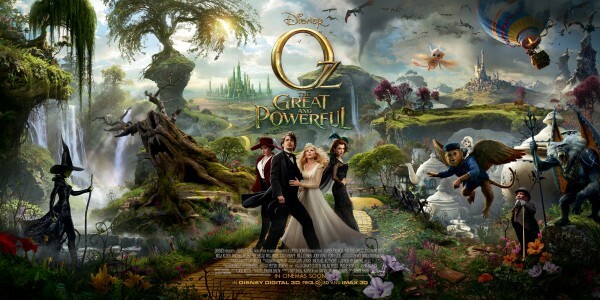 …only this film is neither great or powerful. Its pretty awful to be honest. There is something fundamentally wrong with a film when the dramatic impact of a scene is inherently dependant on the ‘wow’ factor of the 3D or the cgi visuals. Its all flash trickery, all bang-for-you-buck film-making, utterly cold and soulless without any genuine drama. Who are the cold heartless robots that make such perfunctory movies? Is there some vast machine buried in vast chasms under Hollywood that cranks this nonsense out? Why bother with such an A-list cast if you are going to waste them with daft unimaginative dialogue and a vapid, predictable plot? Its one of those movies that must have seemed broken even at script-stage- indeed, what made somebody, reading this simple, predictable and by-the-numbers script, think it would make a smashing movie? That such a script was worth spending some $200 million on it? $200 million. The mind boggles. Maybe its about the toys and the merchandise and the entertainment rides in Theme Parks, as if the film is only incidental. This is Disney after all. I take it that it was made in 3D. Of course it was made in 3D; aren’t all ‘blockbusters’ 3D? Even watching this in good old 2D the images seem to scream 3D at you at every turn. Maybe its amusing when watching in actual (oh, duck! Gosh look at that!) 3D but in plain old 2D its just irritating. Beyond irritating; its obvious that shots are designed for 3D but in 2D its just, well, pointless. And the visuals actually look more false, only adding to the artifice. Here’s a thought: maybe they should make a new rule in Hollywood- if a film is made in 3D then don’t convert it to 2D, keep it 3D-exclusive. But of course they won’t do that; it would likely knock out at least 50% of any eventual revenue, particularly once the first-run cinema period is over and the film drops back onto the DVD/Blu-ray/home PPV markets. But films like this aren’t really crossover pieces- they clearly don’t work as well in 2D as they do in 3D (and that’s even if they ‘work’ in 3D, which I doubt with this film anyway), which makes me wish that the film-makers could decide on making one or the other, rather than just converting a 3D experience to 2D as if its going to be the same thing, which it clearly isn’t, as so much of any ‘success’ depends on the ‘wow’ factor of the 3D. Oh well. Rant over. Bad movie.